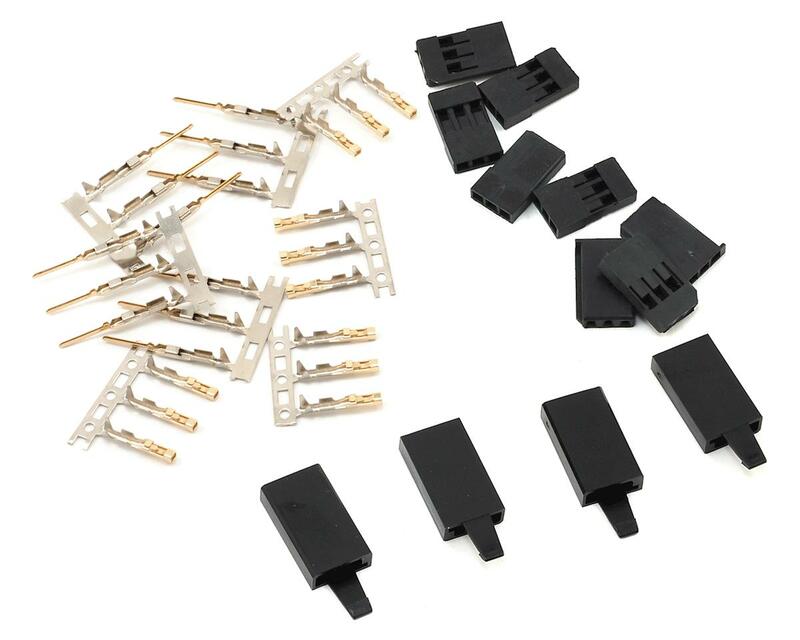 This is a pack of four pairs of locking Futaba style servo connectors. Included are four female and eight male connector housings (four Futaba and four JR style) and eight sets of connector pins. These are unassembled, and can be used to repair a bad servo lead, or to construct your own servo or battery connectors. 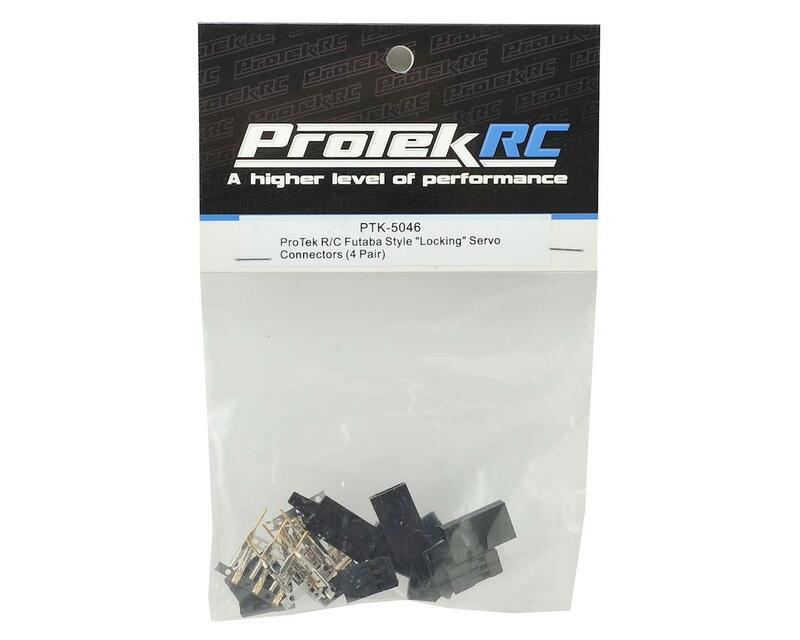 With these locking connectors, forget worrying about a disconnection during intense r/c action. Once the male and female ends are joined, the locking tab snaps into place, securely locking both ends.